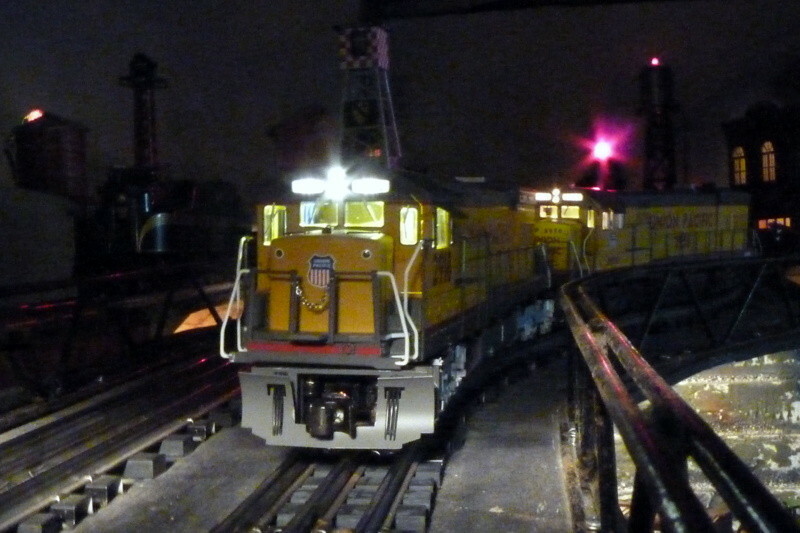 Union Pacific freight on the home layout. Photographed by Bill Hakkarinen, March 3, 2013. Added to the photo archive by Bill Hakkarinen, August 23, 2014.